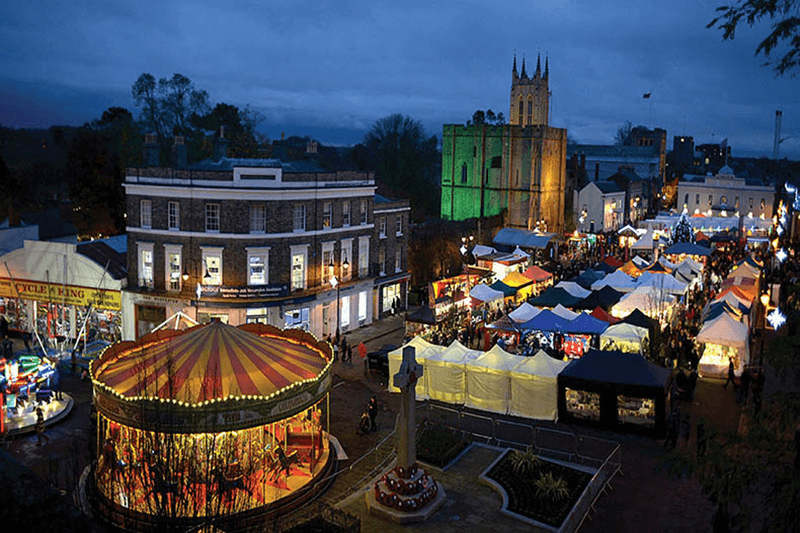 Bury St Edmunds Christmas Market – A long weekend of Festive Fun! 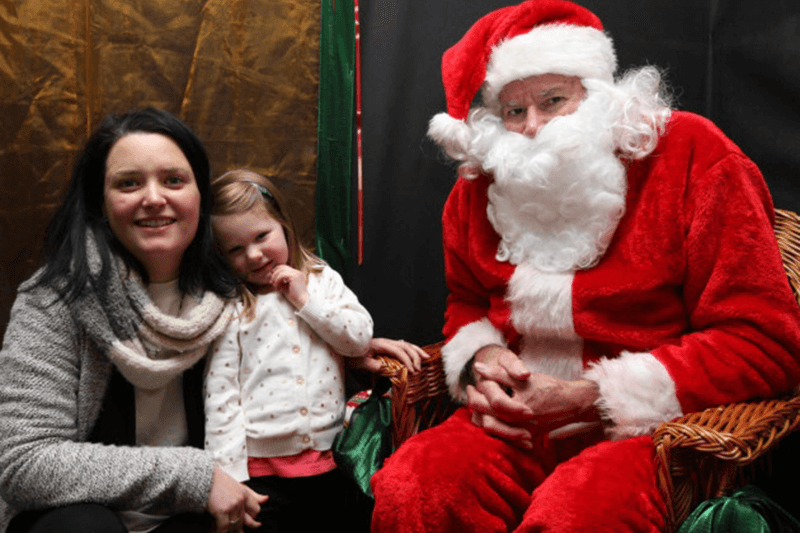 Chestnuts roasting, mulled wine, carol singers and of course Santa’s grotto. 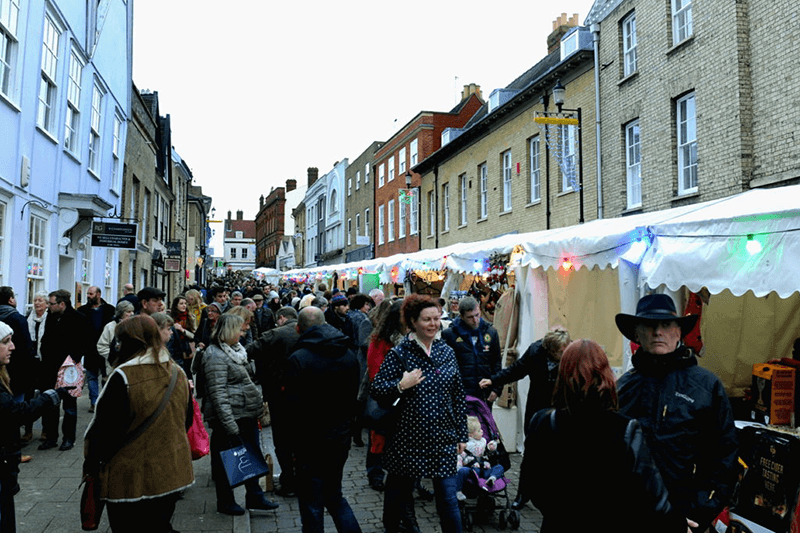 Christmas comes early to Suffolk in the form of the Bury St Edmunds Christmas Fayre. On the weekend of the 22nd to 25th November the streets of Bury St Edmunds will be awash with twinkling lights, the sound of choirs and an astounding range of magical gifts as the famous Christmas Fayre celebrates its magical 16th year. In case you haven’t seen enough fireworks over the bonfire night weekend (and let’s be honest, is there ever such a thing as too many fireworks?!) 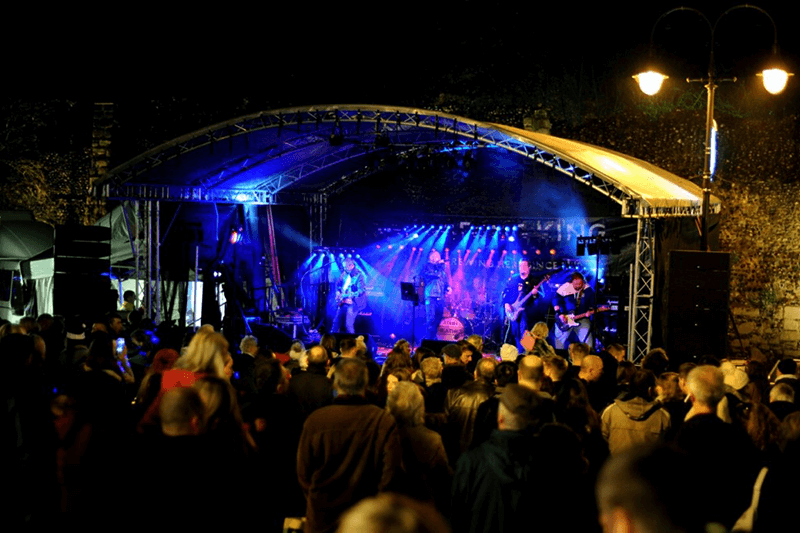 the sky will light up over the Abbey Gardens on Thursday at 8pm to celebrate the opening of the Christmas Market and start things off with a bang! 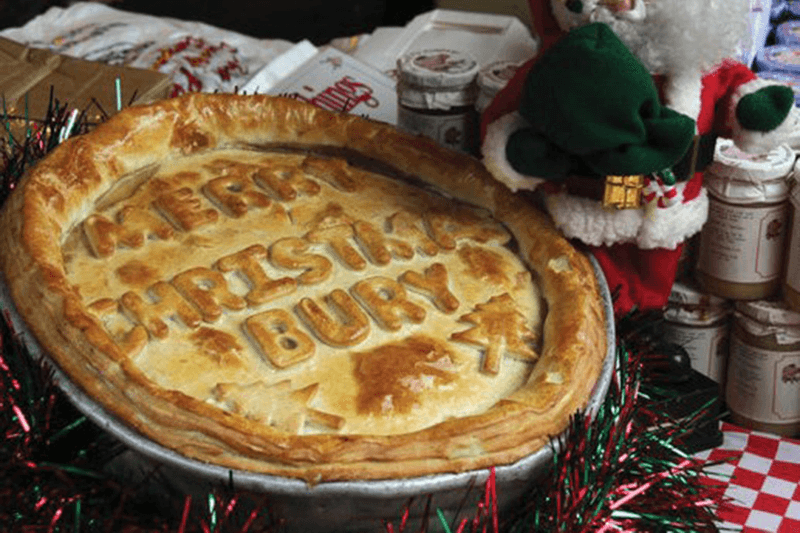 The popular Georgian town of Bury St Edmunds pulls out all the stops at the beginning of the run-up to Christmas with over 300 stalls across the town, accompanied by plenty of fantastic events. 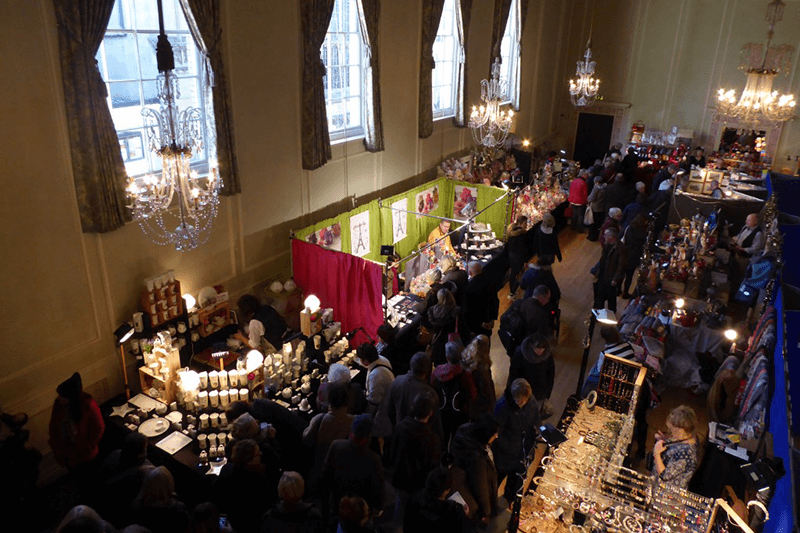 Thousands of Christmas shoppers and families flock to the hugely popular fayre scouring the stalls for that perfect stocking filler. Now 300 stalls and heaps of events might sound like a lot for one weekend but don’t worry, we’re here to guide you through how to make the most of your visit! The Apex Music Venue and Gallery will become home to stalls selling a huge variety of home-made and artisan products, ranging from beeswax candles and local honey to wooden toys and intricately crafted marquetry boxes. Charter Square market – also in The Arc Shopping Centre – will be filled with stalls selling woollen blankets and scarves, unique upcycled furniture, bamboo socks, Welsh cheese, fresh vegetable juices and leather products with many pieces being handmade and unique. This beautiful pedestrianised area will house a long line of stalls selling just about everything, including: clocks, pickles, incense and embroidery, to name just a few of the treats available. The Athenaeum is always worth a visit if you’re in Bury, with the atmosphere during the Christmas Fayre being something truly special. Don’t be surprised to see the stall-holders wearing traditional period costumes in this beautiful Grade I listed Georgian building. The perfect place to pick up a gift for a loved one. 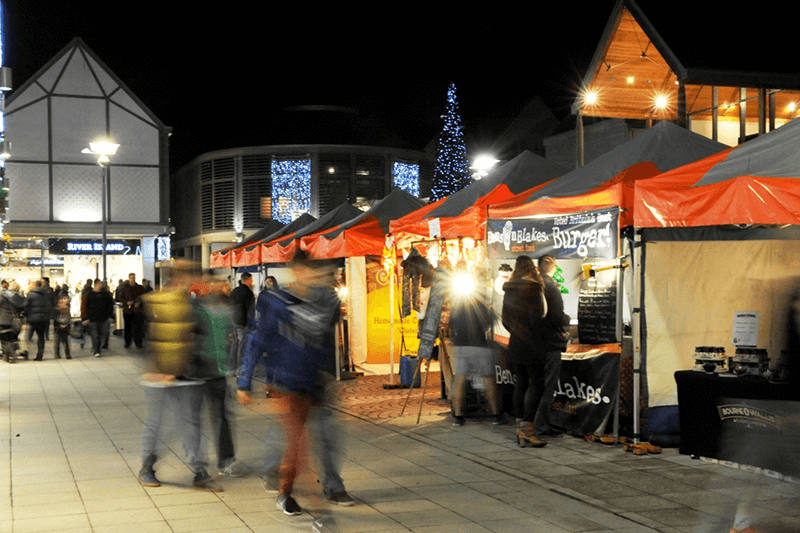 Set in the centre of Bury St Edmunds’ historic medieval core, Angel Hill and the World Market will play host to over 100 stalls full of global and local products. Couple that with a traditional funfair and a variety of live music acts and DJs, and that will make it one of the hottest areas in town. Welcome to foodies heaven. With an array of tantalising treats including fudge, craft beers, liquorice, artisan sauces and jams, liqueurs, olive oils and even halloumi cheese, just walking into the Cathedral Courtyard will set your mouth watering. If you have family members who love an edible gift, then this is the place to be! Make sure not to miss the live events including chefs from some of Suffolk’s best and most innovative restaurants, who will be showcasing their exceptional talents. Our tip is to look out for Justin Kett from the Swan at Lavenham or Sunny Lau from The Packhorse in Newmarket. Listen out for jingling sleigh bells, and the Ho-ho-ho of laughter because Abbey Gardens is where you’ll find Santa’s Grotto and the North Pole Post Office, real reindeer and bundles of children’s entertainment plus 100 stalls full of candles, coffee and cakes, fine jewellery, handmade accessories, fair trade crafts and gifts and much, much more. This year for the first time the independent shops and boutiques on St John’s Street will be holding their own Mini Festival, which runs alongside the market. Be sure to visit Mrs Claus and her donkeys or get your dancing shoes on with live music and DJs performing all weekend. There’s even a gin tasting bar to check out if you fancy a tipple! One of our favourite parts of Bury St Edmunds’ Christmas Market weekend has to be the carol services at the Cathedral. 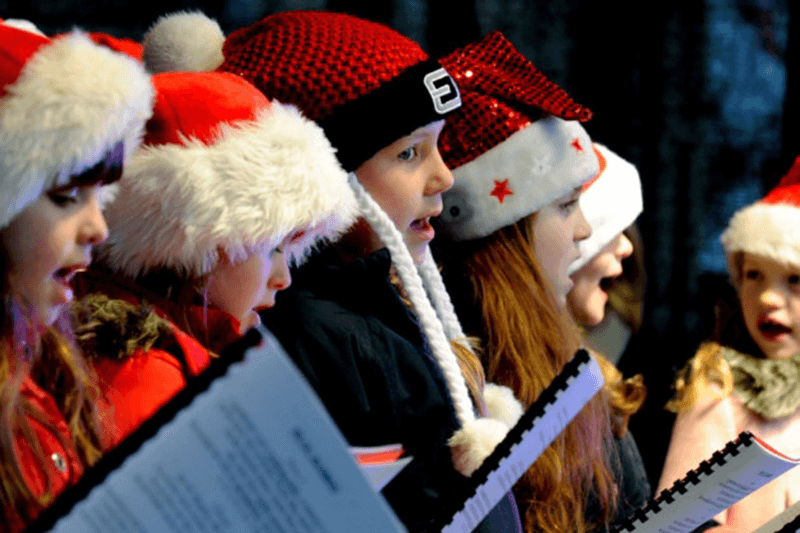 These run every day over the four-day event, and twice a day on Friday and Saturday – so there will be plenty of opportunities for you to get into the Christmas spirit. It’s an event that for us really symbolises the beginnings of the festive season in Suffolk. With so much to see and do, one of our luxury self-catering cottages or studios is the perfect cosy base to come back to after a long day of festive fun. You can put your feet up and relax on one of our comfortable sofa’s with a cup of tea, or use the fully-equipped kitchen to practise the skills you’ve seen at the Chef Demo; perhaps with some fantastic local produce from the Christmas market? Don’t forget to check out our blog for more wonderful things to enjoy in Suffolk.